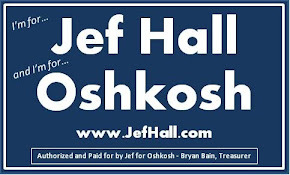 Jef Hall - Oshkosh Common Council: OshNW asks: What does Oshkosh need? But, it is still a relevant question. If you have an answer, go here to comment on the OshNW site. I have also turned on comments below for this post.